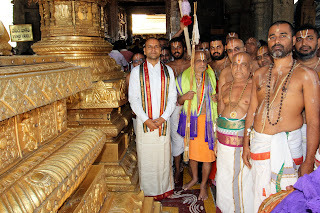 Tirumala, 28 Mar. 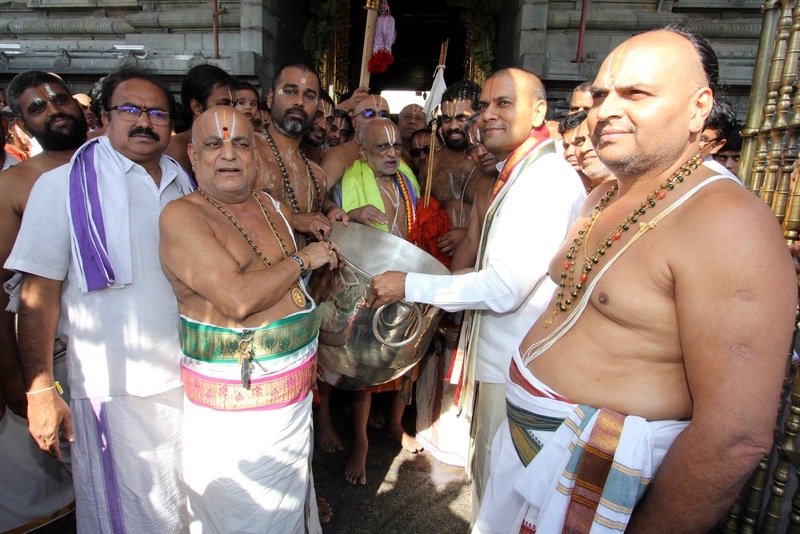 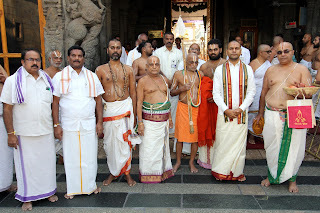 19: Traditional temple honours were extended to Srimad Abhinava Vagisha Brahmatantra Swatantra Parakala Mahadesikan Swamiji, the 36th pontiff of Sri Parakamani Mutt, Mysore on Thursday at Srivari Temple. 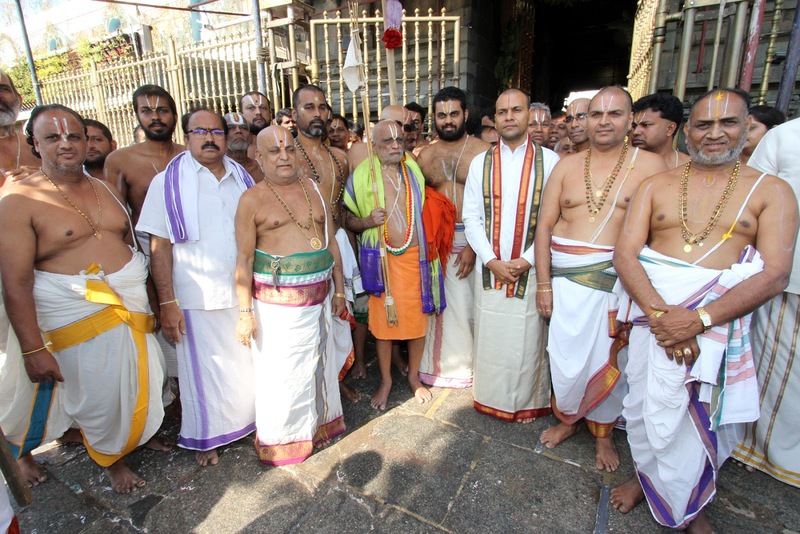 Earlier, the Pontiff arrived at Banyan tree near old Anna Prasadam complex he was received by the senior officials and given Istikaphal welcome and taken for darshan at Bedi Anjaneya temple and was offered traditional honours. 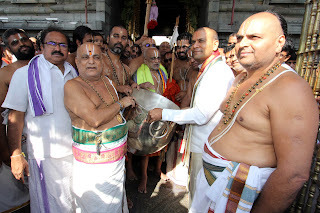 After darshanam of Lord Venkateswara, TTD Executive Officer received the pontiff presented 8 kg silver vessel to the deity during temple visit and the same. TTD EO Sri Anil Kumar Singhal, Peishkar Sri Ramesh babu and Temple OSD Sri Pala Seshadri were also present.